Beckley Stratton teens playing hall ball afterschool with GenMove, an exercise game program available for loan to all programs. Afterschool programs mix physical exercise with studying to keep kids engaged. Startling facts about West Virginia kids after school. More than 21 percent of West Virginia schoolchildren (59,600) are on their own after school, responsible for taking care of themselves. Only 13 percent of WV schoolchildren (36,800) attend an afterschool program. Thirty percent of students who do not attend afterschool programs said they would like to attend, if one was available in their community. Research: Compared with children who don’t attend an afterschool program, children who do show significant academic improvement and reduced use of drugs and alcohol. Children in afterschool are also significantly less obese, studies show. West Virginia should be getting about twice the federal dollars for afterschool under federal law, but Congress has appropriated only half the money the law allows. (1) About 7,100 students in about 380 programs attend state-sponsored programs that get federal 21st Century funding. These programs are mostly run by community groups. (2) More than four times as many students – about 29,600 – attend private afterschool programs such as YMCA, Boys and Girls Clubs, church programs, etc. 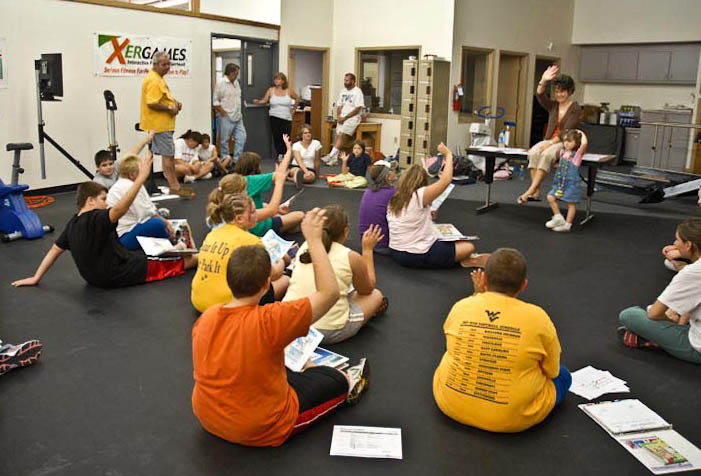 How can you find programs of the West Virginia Statewide Afterschool Network, operated by WVU Extension, as well as those operated by private organizations? Here’s a list: http://wvde.state.wv.us/21stcclc/programs.html. How can you create healthy afterschool programs where kids don’t just sit? Tucker County’s afterschool mountain biking club takes trips in season all over the county. Use the Try This site! Look through the Try This squares and ask that question: Could WVU or WVSU Extension help with a gardening project? Could kids learn healthy cooking? Can you incorporate dancing? Those Try This pages are full of ideas! Start a running/walking group! Start jump rope teams with free jump ropes and the Modern Woodsmen curriculum! Those are just a few! Need materials? 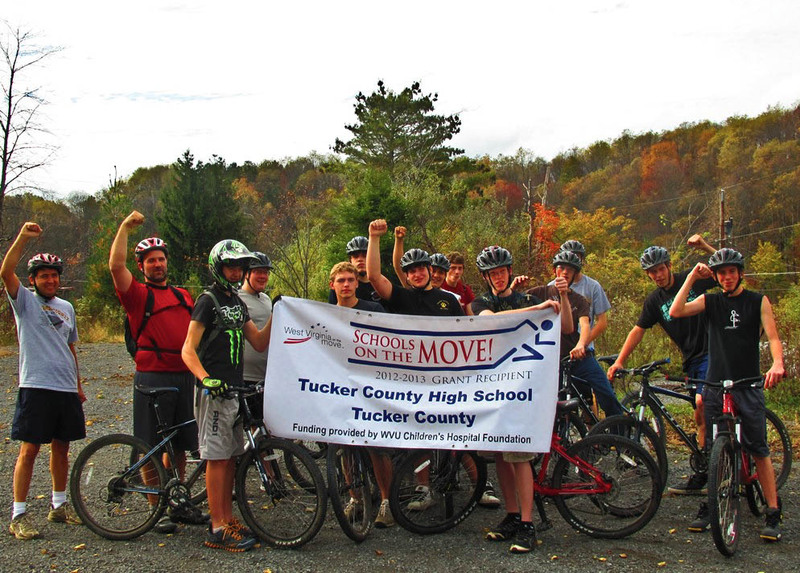 The West Virginia State Afterschool Network has bought physical activity materials such as the GenMove program that are available for borrowing by any afterschool program. Contact the network (304-720-9884) to find out how you can borrow materials for your program. > Youth Voice, Youth Choice: Emphasis on healthy eating and physical activity. Includes the free app, Eat $ Move-o-Matic. Take advantage of the equipment and resources you can borrow from the state. These are available to any afterschool program, in the network or out. Contact the Afterschool Network to find out where you can check out the materials. 304-720-9884. Students interview a dietician during a nutrition lesson at a Grafton afterschool program. The Ohio Chapter of Action for Healthy Kids has a great handbook, packed with activities for young kids. Activate America. Y-Move program: 30 minutes of conditioning per session that builds strong cardio-vascular functning, agility and balance, bone density and muscle strength. 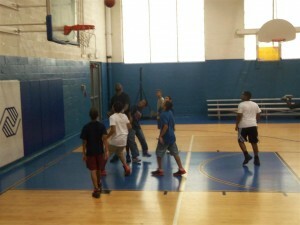 Now in a nationwide pilot phase, it can be seen at the YMCA of Southern WV in Beckley: http://www.ymcaswv.com/afterschool. Because West Virginia gets so much less in federal funding than federal law prescribes, there is not enough funding for all who apply. Only about 6 out of 19 programs that apply are funded. Teens playing basketball during Charleston’s Boys and Girls Club afterschool program get a large dose of physical activity five days a week. Here is a major list of research and research reviews that leave little doubt that physical activity promotes academic achievement, including publications by the Institute of Medicine, the Centers for Disease Control and major medical and academic publications.